Bilsborrow Winding Hole is a minor waterways place minor waterways place place on the waterways major waterways place village town city on the Lancaster Canal (Main Line) between Ribble Link - Lancaster Canal Junction (10 miles and 2½ furlongs to the south) and Lodge Hill Junction (Junction with Lancaster Canal - Glasson Dock Branch) (12 miles and 2¼ furlongs to the north). The nearest place in the direction of Ribble Link - Lancaster Canal Junction is Roebuck Aqueduct; 1¾ furlongs away. The nearest place in the direction of Lodge Hill Junction is Myerscough Hall Bridge No 45 (Myerscough Hall 1 mile); ½ furlongs away. The White Bull, Billsborrow, Preston, PR30RE — 226 yards to the south. Myerscough College, Preston, SY225 — 1132 yards to the west. Barton — 431 yards to the south. South Planks Farm, Barton, PR3 5AB — 1159 yards to the south. South Planks Farm, Garstang Road, Barton, PR3 5AB — 1077 yards to the south. Myerscough College, Preston, PR3 0RY — 1282 yards to the west. Lancaster, PR3 0 — 1248 yards to the north. 2 Ashlea, St Michaels Rd, Preston, PR3 0RT — 1348 yards to the west. Preston — 1136 yards to the west. St Michael’s Rd, Bilsborrow, Preston, PR3 0RY — 1348 yards to the west. Myerscough College, St Michaels Road, Bilsborrow, Preston, PR3 0RY — 1237 yards to the west. Bilsborrow, Preston, PR3 0RY — 1281 yards to the west. Myerscough College, St Michael's Rd, Bilsborrow,, Preston, PR3 0RY — 1261 yards to the west. Garstang Road, Bilsborrow, Preston, PR3 0RE — 218 yards to the north. Bilsborrow Village Hall, Garstang Road, Bilsborrow, Preston — 87 yards to the east. Garstang Road, Preston, PR3 0BT — 971 yards to the north. Garstang Road, Preston, PR3 0BT — 748 yards to the north. Barton Grange Garden Centre, Garstang Rd, Barton — 784 yards to the north. St Michaels Road, Preston, PR3 0RY — 1348 yards to the west. The Rural Business Centre, St Michaels Road,, Preston, PR3 0RY — 1330 yards to the west. Canalside, St. Michaels Rd, Preston, PR3 0RS — 449 yards to the southwest. Preston — 330 yards to the southeast. Canalside St Michaels Road, Bilsborrow, Garstang, PR3 0RS — 453 yards to the south. Garstang Road, Preston, PR3 0RE — 274 yards to the south. st michaels road, Preston, PR3 0RT — 1348 yards to the west. Garstang Road, Brock, Preston, PR3 0RD — 433 yards to the north. The Flowerbowl Entertainment Centre, Lancaster — 983 yards to the north. Unit A, Tom Horns Yard, Claughton, PR3 0RB — 880 yards to the north. A6 Garstang Road, Bilsborrow, Preston, PR3 0RD — 378 yards to the north. Bilsborrow, Lancaster, PR3 0SG — 96 yards to the northeast. Lancaster, PR3 0 — 138 yards to the east. Barton, PR3 0BT — 970 yards to the north. st michael's road, Preston, PR3 0RY — 1348 yards to the west. Preston — 1348 yards to the west. Canalside, St. Michael's Rd, Preston, PR3 0RS — 442 yards to the southwest. Garstang Road, Preston, PR3 0RN — 326 yards to the south. 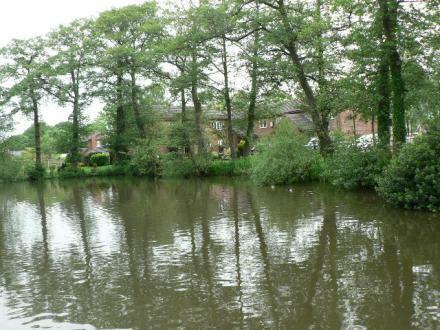 4 Ballot Hill Crescent (Office) Boat Mooring Opposite Roebuck, Preston, PR3 0RE — 313 yards to the south. Bilsborrow, Preston, PR30RY — 1234 yards to the west. A6 Bilsborrow, Preston, PR3 0RH — 725 yards to the northeast. Preston — 189 yards to the northeast. Garstang Road, Preston, PR3 0BT — 713 yards to the north. The Flowerbowl Entertainment Centre, Preston, PR3 0RB — 1012 yards to the north. Myerscough College, St Michaels Road, Bilsborrow, Preston, Preston, PR3 0RY — 1219 yards to the west. St Michaels Road, Preston, PR3 0RY — 1077 yards to the west. 1118 yards to the west. 544 yards to the southwest.